Apr. 5, 2013 8:00 a.m.
Leduc County Mayor John Whaley took a hard stance during the County's response to the annexation plans by the City of Edmonton. In a firm response to Edmonton's annexation application County Mayor John Whaley says the Capital City needs to set aside it's proposal to take 38,000 acres of Leduc County land and return to the table for discussion. In a public statement regarding the annexation Mayor Whaley spoke to media saying, "Our stance is clear. Leduc County does not want annexation. 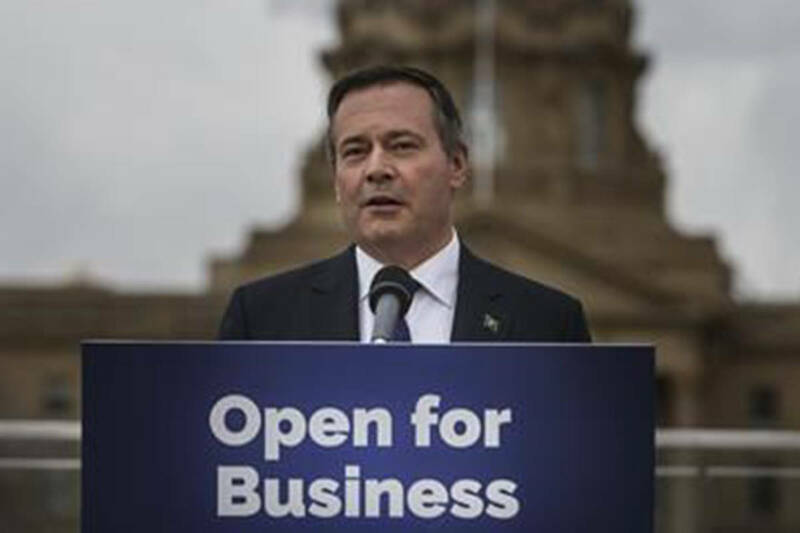 And I want to be very clear on this; I have tremendous respect for Mayor Mandel and the City of Edmonton but we should both be working for the benefit of the capital region, and I don't think this is the way to do it." Mayor Whaley spoke of how "heavy-handed and arbitrary proposals" such as this could impede growth within Leduc County. He talked of how this creates uncertainty in residents and the business community and seriously impact the County's ability to attract new business to the area. "Why would a business consider the factors in Leduc County when the City might just decide to change it's borders?" The County cited the Provincial Government's policy on both regional collaboration and containing urban sprawl. "Those 38,000 acres contain our Crown Jewels." said Mayor Whaley. For a city (Edmonton) already struggling with low density and a high cost of services the annexation represents a gigantic new sprawl. Mayor Whaley admitted that annexation had been talked about for almost the entire time he has been on council. "We knew it was just a matter of where and when it would eventually happen. The extent and size of it." But he continued to avow that there was no reason to walk away from the existing process and also no rationale to propose annexation at this time. Leduc County has repeatedly requested information regarding the lands that the City of Edmonton already has in reserve for growth but the City has continued to ignore those requests. 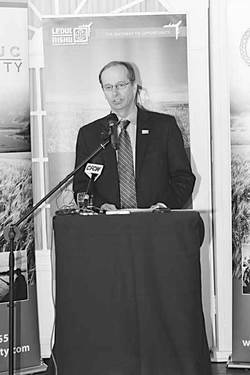 "Leduc County has a proud history of being a good neighbour, working well with our regional partners. Our six guns are not out! We know how to do things right for the benefit of the entire region. So I say let's get back to business." By press time there had been no public response from the City of Edmonton.